Southend University Hospital cares for more than 380,000 patients each year. It’s the local hospital for the Southend area and beyond, providing a wide range of acute services and specialised cancer care. Since the hospital was founded in 1932, staff and patients have benefited enormously from the kindness, generosity and compassion of the local community. Fundraising is now a vitally important part of modern health care provision as medical diagnosis, treatment and research become more and more sophisticated. Southend Hospital Charity is the registered charity for Southend University Hospital NHS Foundation Trust. The Charity raises funds to make a difference for patients of the hospital and their families, and to help save lives. Charitable donations have paid for additional high-tech equipment, specialist training for staff, contributed to environmental enhancements and funded research to improve the understanding of conditions and find possible cures. The Fundraising team at Southend Hospital work hard to ensure that as many people as possible continue to benefit from the generosity and altruism of our local community. Southend Hospital Charity manages the charitable funds in an effective way and aims to invest and disburse money successfully, ensuring that funds are used for the purposes in which they are raised – for example towards a ward or department of choice. Alongside Southend Hospital Charity runs the Southend Hospital Charitable Foundation. Founded in 1998 to mark the 50th anniversary of the NHS, the Foundation is led by a board of Trustee’s based in and around Southend who wanted to help fund buildings and equipment not provided by NHS funding. The Charitable Foundation is a registered charity which raises money for major fundraising projects at Southend University Hospital NHS Foundation Trust. 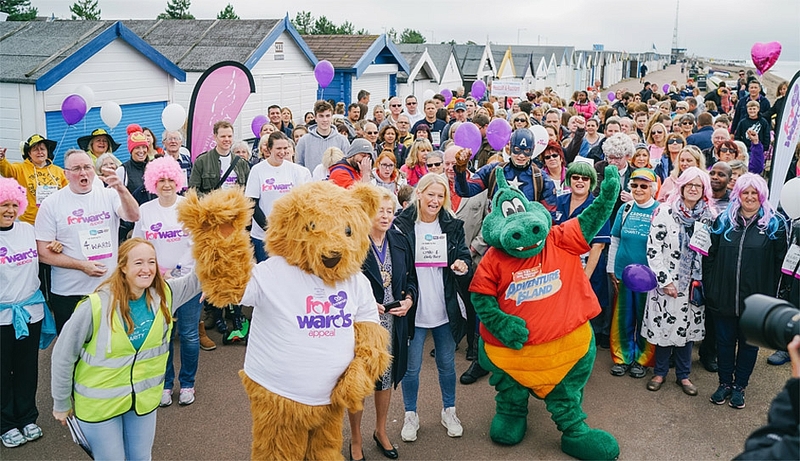 To mark the 20th Anniversary of the Southend Hospital Charitable Foundation, the For Wards Appeal has recently been launched and aims to raise £500,000 for 20 transformational projects across 20 different areas of Southend Hospital. As well as funding life-saving medical equipment and pioneering new technology, the appeal will fund additions such as patient friendly artwork and amenities to keep patient comfort and well-being at the heart of the hospital. The For Wards Appeal has already funded state of the art technology in the Audiology department and the Brachytherapy department. The Appeal has helped Southend’s Critical Care team by contributing £60,000 towards equipment in the hospital’s brand new High Dependency Unit and it has also bought ten new wheelchairs for the Emergency department. The next project will help the Maternity team by funding a new portable ultrasound machine that will aid anaesthesia. Donations of any kind are always gratefully received and well needed; one-off hand-outs, donations in memory, legacies, gifts in kind (services or other non-monetary donations) – every penny counts. Southend Hospital Charity is grateful for the gift of time too. If you could spare any hours to marshal at an event or work in a charity shop, the charity would love to hear from you. Call 01702 385337 to register your interest. On Saturday 10 November, the Charitable Foundation will be hosting a Charity Ball to celebrate their 20th Anniversary and raise money for the For Wards Appeal. Call 01702 385337 or email: fundraising@southend.nhs.uk to book a table. “We would like our local community to know that everybody is welcome to celebrate with us at our Cheers to 20 Years Anniversary Ball on Saturday 10 November 2018 at the brand new local venue; Apton Hall. We have a fantastic line up of live entertainment and some fabulous raffle prizes, it looks set to be a brilliant night”.